You need an organizer that you can access quickly and easily. requires no tutorial because it's so easy and intuitive to use. 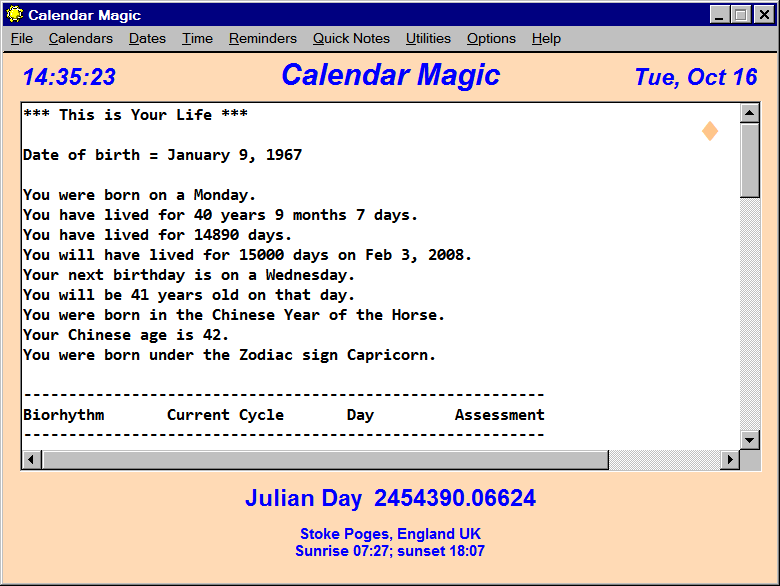 Calendar magic is an easy-to-use freeware program that is entertaining, informative, educational, and of equal applicability in the home and in the office. Quick2Do is a fairly simple application that offers you a method of recording your to do list. Its auto coloring feature helps you easily recognize your task. Mini PIM is a freeware personal information manager based on InfoQwik. Easily manage your contacts. Design, edit and print mailing labels. Keep track of your important passwords. Manage your appointments and meetings. A powerhouse program in a mini package. No installation required! RICOlmer is very handy task reminder. 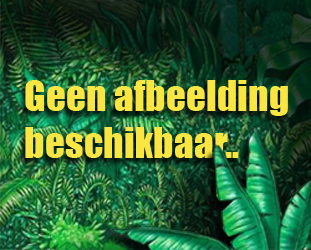 It can send SMS/e-mail, launch programs, documents, shutdown/logoff system etc. 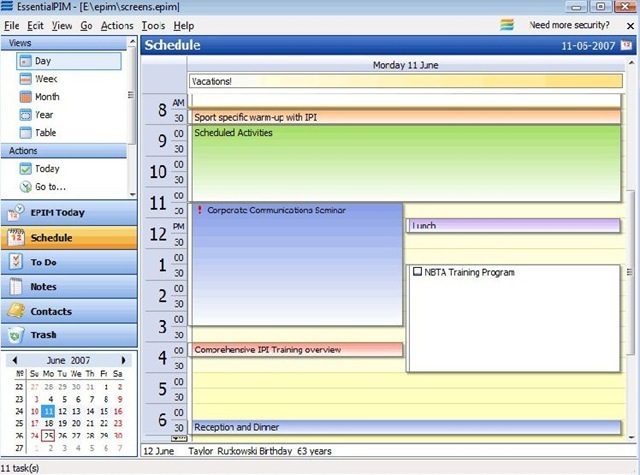 Rainlendar is a feature rich calendar that is easy to use and doesn't take much space on your desktop The appearance can be customized with skins. 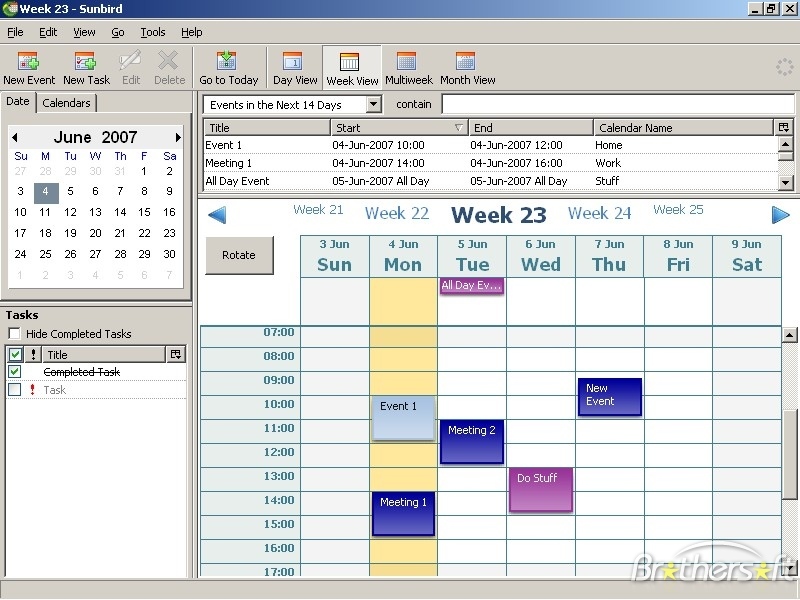 (formerly known as jNotes2) is an open source cross-platform diary manager and the tool for scheduling personal projects. 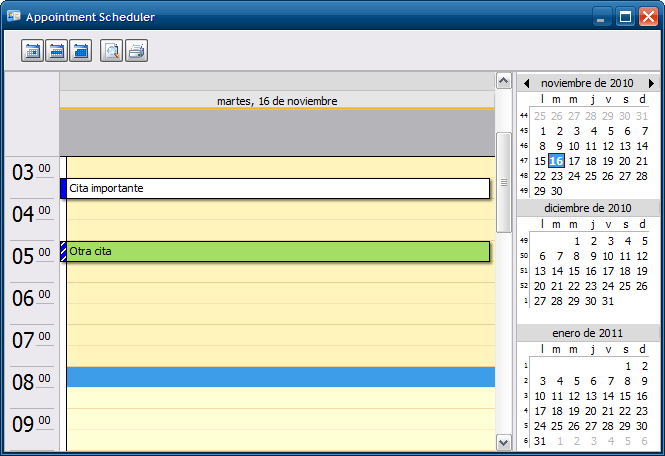 Cally is a very simple calendar application with the ability to set notes for every day. It is not an advanced scheduler or task manager. DejaVu is a small reminder application, You can add tasks, reminders, When the note expires, it will give you a small notification with an optional sound. InfoMagic is an organizer for people who hate to organize. It lets you quickly locate any fact you've saved. it's a real Personal Information Manager.